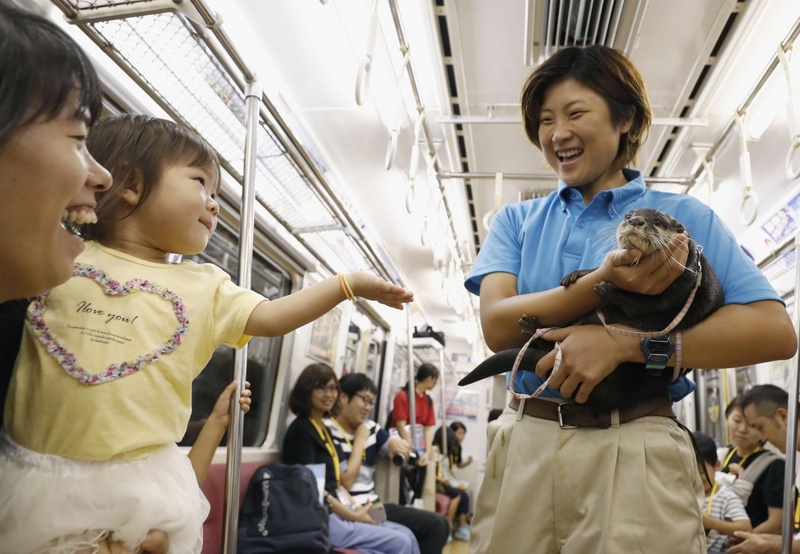 A train operated by Keikyu Corp. offered passengers a treat Sunday as it carried two penguins and an otter on its journey from central Tokyo to a station southwest of the capital. 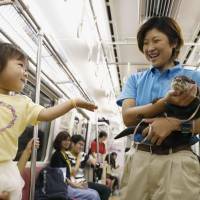 About 120 passengers, including children and their parents, had a chance to get a close look at the animals on the hour-long journey that was part of an event to commemorate the 50th anniversary of Keikyu Aburatsubo Marine Park in Miura, Kanagawa Prefecture. Aboard the train that travelled from Shinagawa Station to Miurakaigan Station in Kanagawa, a staff member pulled a trolley carrying the penguins in a box designed to look like a train, while another staffer held the otter for photo opportunities with passengers. Ryo Sugaya, a 9-year-old elementary school pupil from Tokyo, was aboard the train with her mother and younger sister. “It was lovely seeing the penguins’ friendly gestures and the otter close its eyes. I’m glad I was able to see them up close,” she said.